The Villa Santo Sospir is one of those extraordinary finds one stumbles on in life if you are lucky. 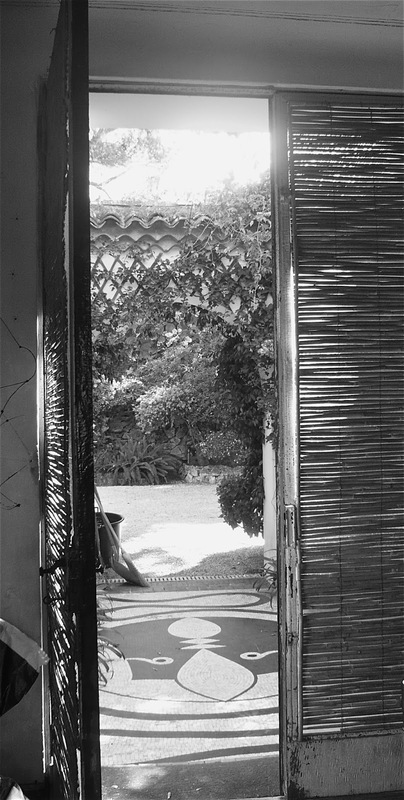 Once the summer house of wealthy socialite (and patron of the arts) Francine Weisweiller, Cocteau arrived at his friend's St Jean Cap Ferrat villa in 1950 and was immediately enchanted. 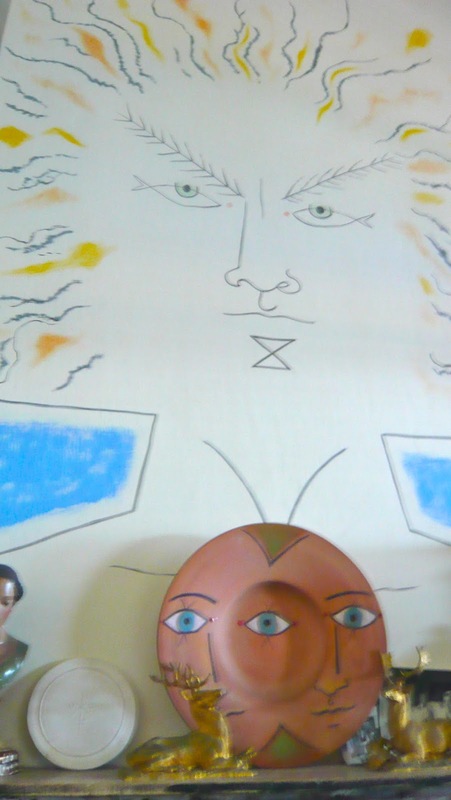 Over the course of a decade Cocteau proceeded to decorate (or tattoo as he described it) the walls, the ceilings, lampshades, the cupboards ... in fact anything he could lay his paintbrush and pens on. As breath-taking as the view is from the house (perched delicately on the St Jean peninsula), the house itself is the real treasure. The walls are covered in the beautiful free-hand art of Cocteau. 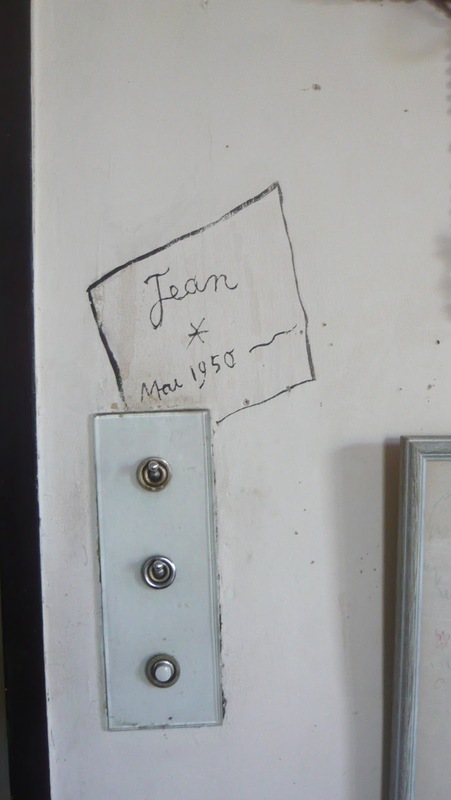 The interiors are a jumble of old furniture, bric-à-brac, photos and the odd sketch by Picasso. A glass cocktail cabinet stands open with rows of bottles. The old iron-wrought beds are made-up with starched worn linen. Leopard-print carpet designed by Cocteau lines the staircase to the lower floor. Everything is as if it were yesterday, with Cocteau and his friends enjoying summers on the terrace and a dip in the sea below. It's a dance back in time and a rare dance at that.